Almost two months have passed since my last post and they have been two very intense months. During the Easter break I went back to Italy to see again my parents, friends, Angela and also the places I am more familiar with. Silja came with me as well, in this way she was able to visit Venice and other cities. When coming back I knew that the “normal” Danish university life was waiting for me. Indeed it was like that, and I spent the weeks with numerous assignments and projects. Except from karate, my time has been all spent for university. i worked hard to find some free time in an handful of occasions. The most relaxing days have been between the 26th and 28th of April. In the first two, I went to visit Odense with Tana. We would have liked to meet all the other friends from the EILC course living there, however unfortunately Rosanne and Róisín had other obligations, so we met again Jakub and spent a nice evening all together. Odense is a nice city and I suggest you to visit it if you can. 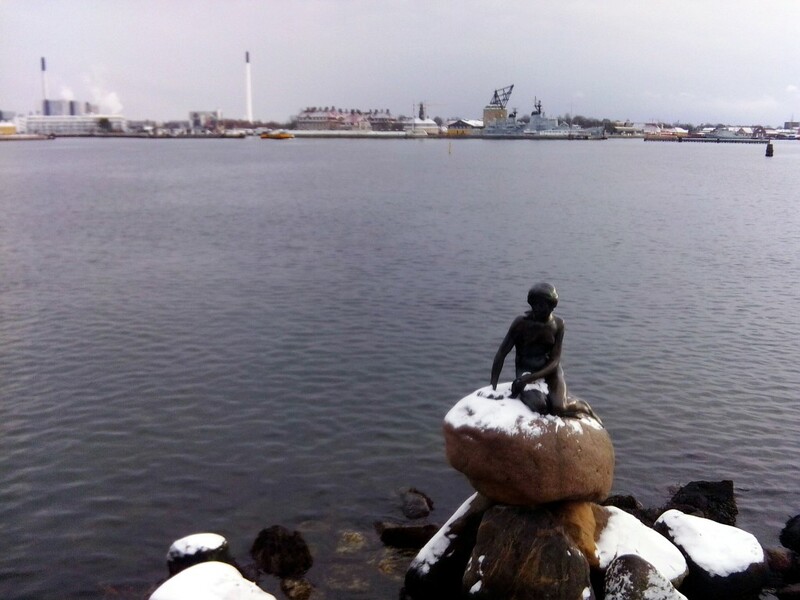 We saw only the Hans Christian Andersen museum and the railways one, for reasons of time, but many other touristic attractions are available. On the 28th of April I went to Legoland with the trip organized by ESN DTU. The park is nice, and even if we had only five hours we had fun. After a minute all the group was already dispersed in the crowd, however I went around the park with Matteo and except for his refusal of high roller coasters, all went well. For this reason, if the purpose was that of creating new friendships between international students I would say it failed, if instead it was that of spending a funny day I think it has been reached! On the next day Justina was in Copenhagen and we organized a dinner together with Henrik and Sergio. Fantastic evening, notwithstanding the “Hawaiian pizza” (I removed the pineapple before eating it, of course!). Talking about May, I had to work for the university as usual. The only “amusement” moments have been the dinner with Xin Yee and her friends at the Campus Village (to celebrate the end of the Optimization Using Metaheuristics project) and obviously the kata seminar of JKA with Bura Sensei, taking place in Helsingør last Saturday. I am happy of being able to live a nice day of aggregation by practicing karate here. When I was living those days I wasn’t sure to be able to do everything on schedule, but step by step all went well. It’s more or less the concept I wrote in the last post. My exams are between the 21th of May and the 3rd of June, after that I and Nanouk will go for 5 days to meet the girls living in Aarhus (always met at the EILC course, obviously!) and to visit the city. I arrived to half of the semester. Looking backwards it doesn’t seem that two months already passed in Copenhagen. Almost three in Denmark. University here is different comparing to Italy, during the year many assignments are handed out and the workload is high. In Italy instead usually you follow the lectures and you study at the end for taking “big” exams. Keeping regular is not very easy, however it can be done and up to now I managed to do it. The sentence I put in the title means «fortune helps the brave», and I like to keep it in mind when I think that there is always something to do or to study. Yesterday was the last day of lessons and in the afternoon we had a laboratory of Computer Vision. Doing the homework (even if not mandatory) every week required time, but it allowed me to finish the exercise of yesterday in 3 hours instead of 4: I felt happy! During these days I also met again Henrik, Justina, Sergio and Johanna (on Sunday) and Silja (yesterday — and with her I will also go back to Italy to be a “tourist at home”). Even if I had a lot of homework I did my best for keeping the Sunday free, and it was a wonderful day. On this point I was thinking (and I still think) that the Erasmus is nice and I study interesting subjects, I like it. But there is a “but”. 😛 If I have to evaluate the value of this experience abroad for sure the 80% goes to the EILC course. You can’t compare, and I am not surprised that Tana defined it «the best thing that ever happened to me». PS: I put here a gallery with some pictures taken during the first part of the semester, many are of Copenhagen but if there is something in particular that you would like to see, ask! …we also have to study, of course! My first “real” week with the lessons ended recently. I’m not as good as Nanouk or Tana so I don’t keep track of what I do day by day, but I want to tell you a bit how the lessons and all the rest went. Error-correcting codes — Maybe the most mathematical class of all. The teacher explains very well and it’s interesting. I will have to review linear algebra a bit but at least it’s a topic that I have already met a bit in high school. Optimization using metaheuristics — It’s a more exciting side of operations research. It’s taught for management courses but in my opinion it’s more oriented towards people studying computer science and knowing programming. The lessons are clear, the activity in the lab a bit less sometimes, but I like it. Social data modeling — The most practical course of all. There is little theory but a lot of experimental work with Python and the APIs of some web services. Not bad at all! Computer science modelling — It’s more or less the equivalent of the formal languages part that I studied in Venice. Even if the topics are not new I have the impression that the lessons are very fast paced, maybe a bit too much. But perhaps it’s only the first impact. Computer vision — For this I will have to learn how to use Matlab and review linear algebra but it’s a class of a not very high level, so I shouldn’t have much problems. From the “practical life” point of view, after a complicated beginning, we managed to buy step by step all we need to eat with variety, as well as some snacks and drinks. We got the laundry card (fundamental!) and I’m getting used to the public transport here in Copenhagen. today I got my residence permit and in the next day I will go to ask for the CPR. Regarding the social aspect, I didn’t manage to know danish students, but I know that it’s difficult. 😛 However I met other international students with whom I will be able to make groups for the various classes. Then yesterday it was a fantastic day! 🙂 For the first time I went to visit the city center, joining a tour organized by ESN Copenhagen. but the most important thing has been telling Henrik, Sergio and Johanna: the same morning they decided to come and so we could met after about 10 days! It made me feel good, like it makes me feel good keeping in touch with almost everybody. 😉 I often chat with Tana (who turned out to be a great friend), but in different occasions also with Henrik and Sergio, sometimes with Johanna, Eva, Justina, Bettina, Wojtek and sporadically with the rest of the group, because I miss them all! It had to happen. It would have been useless to think the opposite and probably it wouldn’t have helped: the EILC ended on the 30 of January and with it my experience in Aabenraa. I believed I was perfectly ready for the new chapter — the real Erasmus — but I felt the initial shock. It may seem stupid but I found myself to cry, in particular on friday evening, and I don’t know if it is only for the first impact or also because I miss the people of the group. But I suspect it’s the second one because I was ironing the T-shirt with the signatures of everybody in order to make them permanent and if I wasn’t careful to stop I would have burned it for how much I desire them to remain. Now it’s a bit better. The trip was a bit messy. On the morning on the 31st I woke up and had the last breakfast with Henrik, Johanna and Sergio for saying goodbye. They were kind enough to come with me to the bus stop so I didn’t get lost and it was easier to bring the luggage. After confusedly talking with the bus driver, I managed to get to my stop. At that point I lost more than 10 minutes trying to find my aparment at the Tåsingegade Kollegiet. I was keeping SMS contact with my roommate who was waiting me for going to the DTU in order to apply for the residence permit. His name is Piotr, and tough I was epically late, he was very kind and let me leave my bags. Thanks to the fact that he already knew how to move around it was easy to get to the DTU. I’m happy to have him as a roomie. For lunch I tried the internal kantine and I liked the presence of different kinds of food. The first lunch was a wok! Then I picked up my linen bag and in the evening I went to my buddy’s house while having to carry that very heavy burden. This trip was long, too, but the evening was pleasing. The next day there were three presentations and the most important thing: Piotr and I went to the grocery store given that we were without food. In the evening we had dinner at the university with all the international students. The apartment is big and not bad, even if the toilet is not the best: currently without light and with a “shower” which is a bit incomplete. Also there is no electrical outlet inside. However I think that the worst thing has been suddendly finding myself in a completely “empty” place and having to manage everything. Now that we went to the stores three times, a bit of stuff at a time, I feel better. I believe that also putting the clothes on the shelfs and sleeping in the room a couple of times helped. Yesterday we have also experimented the tradition of having dinner all together in the common room. It’s a bit uncomfortable for the timing and because there are all different sorts of chairs and tables, but I think it’s a fantastic idea for the “social” aspect: I like it! When you’re working to build a puzzle — no matter how big or complex — you would never want to stop. However the moment arrives when you have to unmake it. It can be because it’s finished, or simply because you have no more time to continue. Today is the last day of the EILC in Aabenraa. In the afternoon I’ll take the train and I’ll move to Copenhagen with four friends and in one day everybody is going to take their own path. During this course I didn’t have much time to write in the blog, or for using the PC in general. I would have liked to post more, but I don’t think it’s a bad thing. I’ve lived with a fantastic group of students: Silja, Henrik and Johanna from Finland, Róisín from Ireland, Sergio from Spain (my roommate), Rosanne and Nanouk from The Netherlands, Wojtek from Poland, Bettina from Austria, Eva, Lada and Jakub from Czech Republic, Winnie from Hong Kong, Tana from Belgium and Justina from Lithuania. Sure, There have also been some less funny moments. I’m sad in some ways because in a bunch of occasions I’ve not been friendly as I wanted to, sometimes finding myself in trouble with Danish or embarassed during the “amusement moments” I’ve closed myself a bit and I felt very bad for offending a person without intention, even if this person understood. The puzzle is complete by now, maybe I can consider this post as the last tile. The photos I’ve inserted as gallery at the bottom of the post are other tiles, but there are a lot more. The first Danish book that I read entirely! Note: this is the transcription of a short page we were asked to write in the first days of the EILC at Højskolen Østersøen. It was not required to let other people read it but I like to put it here in order to being able to make a final analysis after and find the differences on how I see this experience. I left for the Erasmus two days ago, without knowing what to expect until the last moment. Actually the only thing I really expected was to find myself out of place in new situations that I would have to handle without knowing how. At the airport I started to feel that something “was not working” in the opposite sense of the word. What I mean is that I’m living — in some ways — all the “first impact” aspect in a quiet way, nearly passive. The fact of having to spend all the time speaking in English in a place still new for me, with “new” home responsibilities, doesn’t particularly worry me. I would have never expected this type of reaction. About the life in the Folk High School, it’s not bad. Sure, it’s a bit strange to find your self at morning and at evening singing (a tradition of the school that reminds me the scouts a little bit, but it’s OK anyways) however it’s a very exciting environment. We are allowed to use the dining room for meeting, and also other rooms. We have some free machines for fruit juice, milk and coffee at our disposal: it’s not Italian coffee, but the juice is good. Our group is very unite: we are 5 boys and 11 girls. May be the fact that we talk in English, may be living all together in the same place, or whatever else, but breaking the ice required less time than what I expected. Although not very accustomed to be with “many” new people at the same time, it all goes well. I don’t know how, I don’t know why, but it simply feels natural. And honestly I don’t want to really ask myself for the reason: it’s enough to know that it’s OK this way. Do you know what I noticed? I didn’t check much my Facebook profile here because there is no time. It’s a bit like being able of “truly control” your own life.